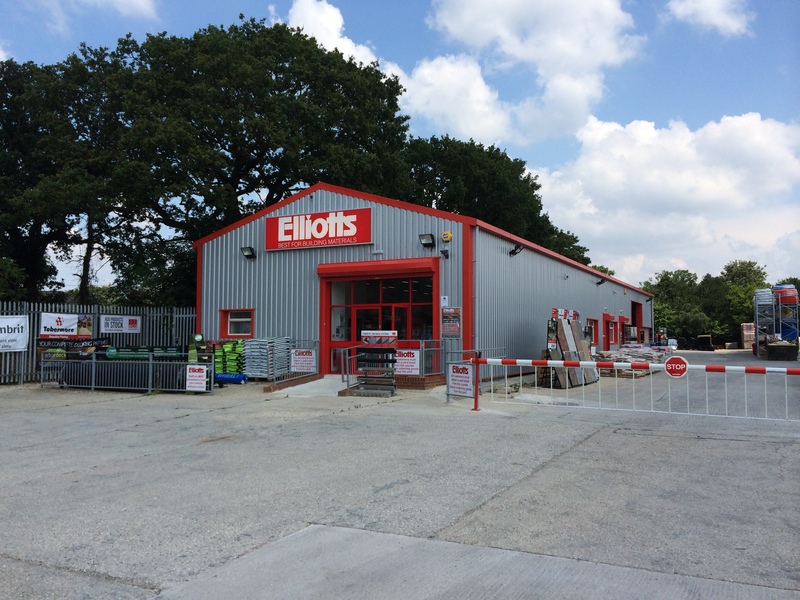 The south coast builders merchants Elliotts have opened a new branch in Tadley, North Hampshire. 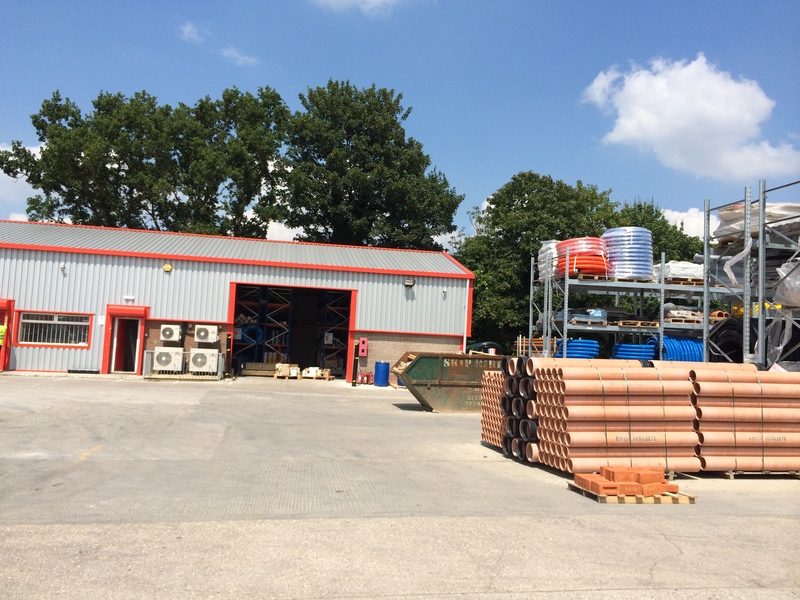 Elliotts being one of the oldest family run builders merchants in the country have expanded again with HMF fitting out the site. The work commenced in early January & Elliotts took possession of site at the end of March. Hampshire Mezzanine as Principal Contractor were responsible for the upgrade of the site including the refurbishment of one existing building & alterations to another existing building on site. HMF had to insulate one of the buildings to achieve the required U values to satisfy Building Control which included overcladding the existing profiled Steel cladding on the roof & walls of the building. A new customer entrance frontage was created using structural steelwork & introduction of a new powder coated aluminium fully glazed shop front. This had a new ramped entrance with balastrading & included external groundworks. HMF fitted four new roller shutter doors all motorised in Elliotts’ Red company colour. The inside of the building was remodelled to enable new offices & a trade counter area to be installed. The toilets were remodelled with new sanitary ware & DDA compliant fittings. Various types of flooring were fitted by HMF including non-slip vinyl, carpet & epoxy paint systems. The fixtures & fittings included low & full height gondola shelving, pallet racking fitted in both buildings & also outside in the yard. The yard racking was hot dipped galvanised to prevent corrosion & specialist cantilever lintel racks were also installed. HMF as Principal Contractor carried out the complete mechanical & electrical fit out which incorporated inverter high efficiency air conditioning systems to both heat & cool. HMF also provided a complete fire alarm system to each building. The project was completed ahead of the original programme.